Have you ever been to the Grand Canyon? It is an enormous canyon in Arizona. It is about 277 miles long, 18miles wide and 1mile deep. Ask your parents to show you what a mile is the next time you are in the car so you can get an appreciation if its enormity (great size). People come from all over the world to see it. The canyon has trails across the rim, or top, so you can look across and down. There are trails to walk down to the bottom. Helicopters take people to the bottom and back up. Some people charter planes to fly them through the canyon. The most common way to get to the bottom is by hiking or riding on a mule. 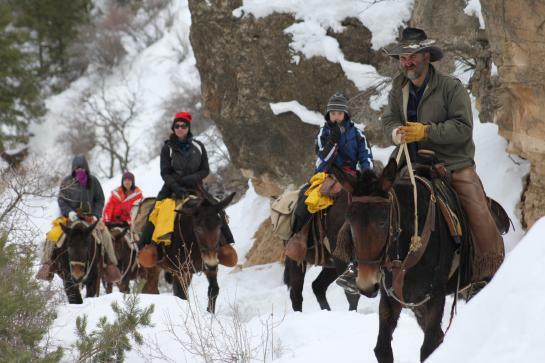 Mules take people and supplies down the canyon every day. The mules need to be smart, gentle, sure footed, and hard workers. When a person climbs onto the mule's back, the mule doesn’t know if the person is nice or not so nice. Before the mule's work begins for the day, he doesn’t know if he will have a heavy or light person to carry. The mule doesn’t know if it will rain or be very hot. It is mostly very hot there, but in the winter it is cold and it snows. The mule knows he has a job to do. He knows the path, where he is going, and about how long it will take. He works hard and safely takes his passenger down the steep, narrow trail and back up. He knows his job and he does it the best he can. Have you seen a penguin? Maybe you have seen one at the zoo? Penguins are birds that can’t fly but are very good swimmers. They have a funny way of walking, with a waddle. Sometimes they slide down hills on their stomachs. 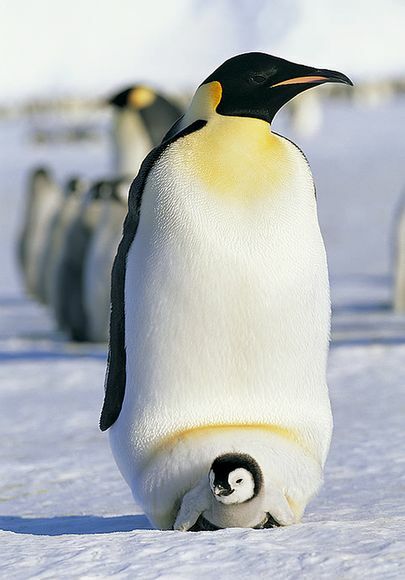 Emperor penguins are the largest of all penguins, and they live in Antarctica which is at the bottom of the world. After a mom penguin lays an egg, she uses her feet and her beak to pass it over to the dad. The dad has the egg on his feet, shoving it far back under his fat belly. This is where it is warm, and he will keep it protected there. The penguin will hardly move so he will not drop the egg. The mom penguin then takes a long trek over hills and valleys of ice to the sea so she can eat. She is gone for many days and gets back after the egg hatches. After the egg hatches, the dad feeds the chick by regurgitating a substance from his throat into the chick’s mouth. When the mom returns, she takes over caring for the chick by keep it warm on her feet and regurgitating food into the chick’s mouth. The dad takes his turn to walk and slide to the sea. They do this cycle of one parent at a time going to the sea 7 times. Each trip takes from 31 to 75 miles one way. Do you know what a guide dog is? 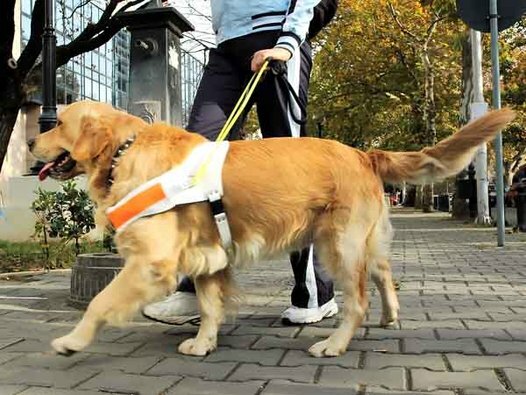 It is a specially trained dog for the visually impaired person. The dog has been trained to navigate the person around objects that the person cannot see. 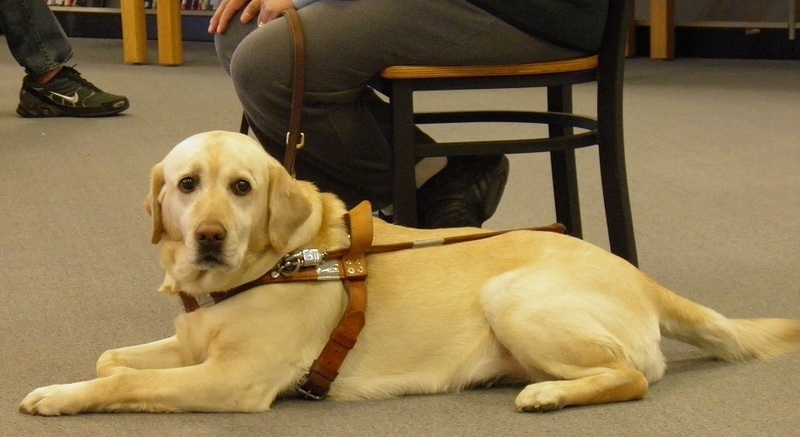 Guide dogs wear a special harness that the person, his owner, holds on to. When the dog goes through training, it is taught not to act like a dog. It cannot chase other animals, jump up on people or furniture, and cannot bark unless it is important. The dog has to stay alert to the owner’s needs and is working the whole time the special harness is on. 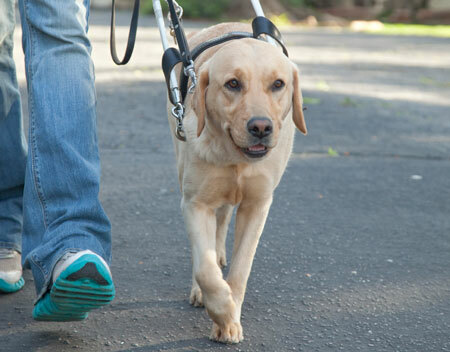 If you see a guide dog, you may not pet it without the owner’s permission, because the dog is on duty. When the owner takes the harness off the dog, the dog is off duty and can play and relax. Most guide dogs are still ready to help at any given moment. Guide dogs take the owner anywhere the owner wants to go. It may be the grocery store, restaurant, work, church, even the park. Guide dogs are the only dogs allowed to go into most public buildings. It is because they don’t act like dogs when they are working. They are there because the owner needs to be there, and they take care of the owner. They protect and guide the owner. What do these three kinds of animals have in common? What comes to my mind when I think of these animals is diligence. Do you know what diligence means? To be diligent means you are patient, busy, hardworking, active, industrious, careful, and you persevere. When you are diligent, you are attentive and persistent in doing anything. The mule is diligent in making sure he stays on the path, carefully placing his hooves. He makes sure his rider is safe. He works hard every day even in poor weather. He takes the same path and doesn’t try to make a new path. The emperor penguin takes very good care of the egg and then the chick. The penguins travel many miles to feed themselves and then back to take care of their chicks. They do this in extreme cold and wind. The dad doesn’t move much for fear of breaking the egg. He keeps it warm, waiting for it to hatch. The guide dog works hard every day for many hours making sure his owner is safe. He is always alert to danger, whether it’s an object his owner could trip over or an oncoming car. The guide dog gently takes care of the owner. The guide dog cannot act out some of his instincts like casing things or barking without cause. He is always on duty when the special harness is on. Diligence is a good quality to have. When you have been given a task it is good to diligently get the task done. We should stick with it until it is finished, working hard and not getting side tracked. 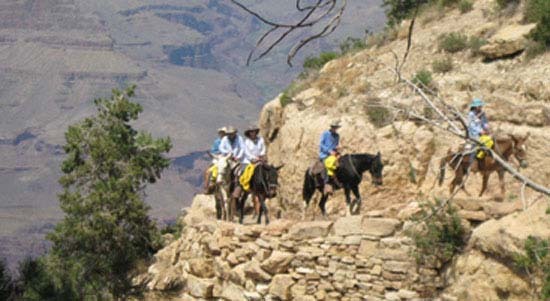 If the mule was not diligent, he might walk off the path and fall down the canyon. If the emperor Penguin was not diligent, the egg could fall off his feet and crack. Then the baby would die. 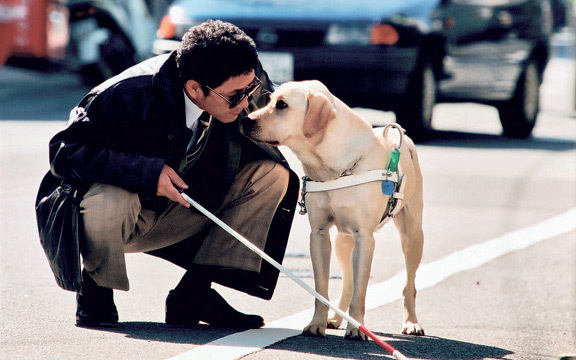 If the guide dog was not diligent, the owner could trip and get hurt or worse. It is important to be diligent in the tasks we have been given whether it is school work, doing our chores, babysitting our sibling, or learning a sport or musical instrument. We need to be diligent. The Bible talks about being diligent. Proverbs 10:4 He who has a slack hand becomes poor, but the hand of the diligent makes rich. Proverbs 12:24 The hand of the diligent will rule, but the lazy man will be put to forced labor. Proverbs 12:27b …but diligence is man’s precious possession. Proverbs 21:5 The plans of the diligent lead surely to plenty, but those of everyone who is hasty, surely to poverty. When the children of the Lord were rebuilding the temple they worked diligently: Ezra 5:8c …and this work goes on diligently and prospers in their hands. Memorize: Proverbs 21:5 The plans of the diligent lead surely to plenty, but those of everyone who is hasty, surely to poverty. Proverbs 12:27b …but diligence is man’s precious possession.